I am not usually with it enough to dispense holiday advice, but here goes nothing. I have put together some gifts that were a hit with those on my list! 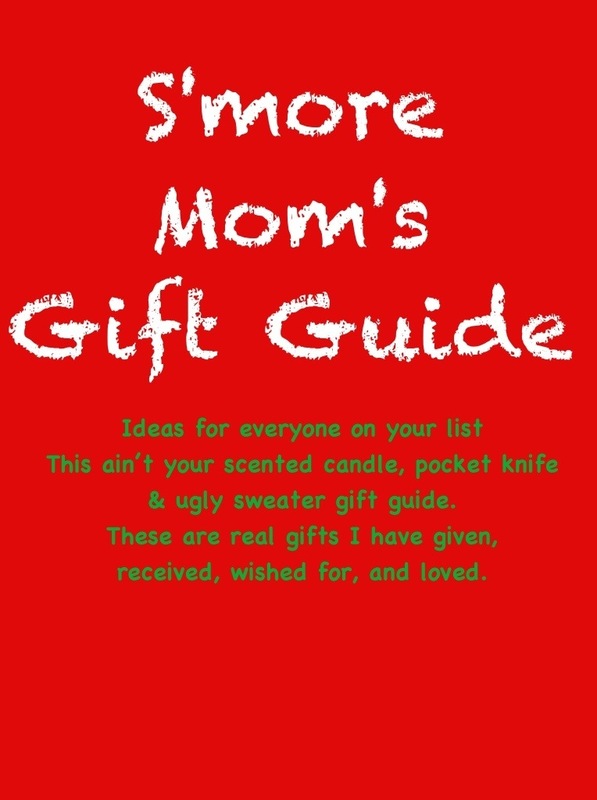 This ain’t your scented candle, pocket knife & ugly sweater gift guide. I WISH I received kickbacks from these companies…or hey, even test products! (but I don’t & until I get some more followers, I’m not an Amazon associate either). This is just my two cents on holiday shopping. Real gifts that I have given, received, wished for, and loved. Happy hunting! The Big Green Egg Ceramic Cooker – It’s like a grill or smoker, only better. Motorola Wireless Headphones – Man loves these for working out and yard work & they operate off Bluetooth, so he can use them for business calls too! Pelican Case – If he is adventurous or an outdoorsman at all, he will appreciate this! It can be stowed in a boat, ATV or on a motorcycle to protect his expensive gadgets from the elements. Adventure Medical Kits – tailored to any type of outdoor disaster and in their own weather resistant case. Leatherman Multi-Tools – This tool is great for the MacGyver in your life. Man takes one camping, hunting, fishing, and has one in his bunker gear. I’m sure they would be great at other work sites too. Yeti Cooler – The Yeti is boasts itself as virtually indestructible (tested on grizzly bears) and able to keep ice for days in Texas heat. Those I know who own them, swear by them. Isotoner Men’s Smartouch Tech Stretch Gloves – They are warm, durable, & he will still be able to use his phone or tablet – functional with luxury feel. When all else fails…buy him some booze. Man goes for straight bourbon whiskey, but he also gets a kick when I bring him back a six pack of Shiner Cheer from the store. This year he has given Samuel Adam’s White Christmas a run. If you don’t feel comfortable committing to his favorite drink or dropping a chunk of change on the aged scotch he prefers, sipping stones make a thoughtful gift. Master of Malt even offers a whisky advent calendar. Shearling slippers – He might not ever admit it, but these are wicked comfy…pun intended! American Sniper by Chis Kyle – Man doesn’t read a lot, so when I say he didn’t put this one down and even said it was a good read, it must be. Also think about gifting a round of golf at his favorite club (Dallas has Tour 18 which features holes from 18 of the most famous courses in the US), an experience gift (I haven’t tried them but Cloud 9 offers exotic cars, helicopters, and NASCAR driving), or a leather bound journal he can use to keep tabs no matter what his hobby. Sparkly Green Earrings: Catching Light at Every Turn by Melanie Shankle – I read this book on vacation this summer. It made me cry, it made me giggle; an uplifting read for any momma. Cashmere Wrap – soft, snuggly & warm. You can dress it up or down, so versatile. Pajamas – just my favorite gift. Victoria offers satin, cotton, flannel, or long john, but guys, don’t buy her the slutty Santa number. Stackable name or initial rings – help them keep their dear ones near with these adorable rings, these, or have one like this from James Avery monogrammed. Willow Tree figurines – I’m not usually about collectibles, but these are so pretty. Send her an online clothing or goodie bag subscription. I first heard about online styling through Julie at the Table for Two Blog when she reviewed Stitch Fix and then Shana at Ain’t No Mom Jeans wrote about monthly goodie bags from iElla. I thought, “ooooo…so much better than fruit of the month club”. Something for her adventurous side – Has she been talking about a triathlon? Is she an avid outdoorswoman? Is she a jet setter? SCUBA diver? Super crafter? Think about a goal or hobby she is working on and give her something to help support her endeavors. Camelbak Kid’s Water Bottle – easy for all ages, dishwasher safe, no leaking, bite straw, BPA free – we use them every day! Find It – if they like I Spy, they will like this. We’ve taken it out on the boat, on a road trip and when waiting in a restaurant. The Action Bible – What tween boy wouldn’t like a copy of the Bible in comic version? Fisher Price Little People – they have career people, princesses, movie characters, cars, animals. They are small enough for an infant or toddler to easily grasp, but my preschooler still loves to play with them. They are awesome! Wooly Willy – flashback to 1980something! Great stocking stuffer! Along with any travel size game. Speaking of the 80’s, my mom recently got the boys car bingo and they love it. At our house, we are big fans of board games, Play-Doh, Water Wow Doodle books, Melissa & Doug toys, and BOOKS! You can never go wrong with a book! Consider buying a set of 12 (one for each holiday/season throughout the year). So check with the parents first, but isn’t this great! Herbs of Provence – cutest little clay pot, my favorite blend of herbs, less than $20, what’s not to love? Vinturi Red Wine Aerator – It gives a little boost for your favorite red. Chances are if they are a Foodie, they own a Kitchenaid Mixer. Make their day brighter by giving them this self-scraping paddle. With foodies, never underestimate the power of the pantry. I love getting spices, vanilla beans, a great olive oil or balsamic vinegar. Want to see them swoon? Splurge for a John Boos cutting board. You really never can go wrong with a great new cookbook (check out Ann Romney’s, Gwyneth’s, Rocco’s, or Junior’s Cheesecakes – all on my wish list!). This Foodie Fight board game looks promising too. Thank you Target for this one! Modern House Red Wine Grape Expectations – cute, tasty and budget savvy! Oprah agrees – this item made her 2013 Favorite Things. Want to pamper the cook? Grab a vintage inspired apron, glamorous dish gloves, a rub away bar, or hand cream. Know a techy cook? Look into these food inspired flash drives or a chef friendly iPad cover. A Classic Christmas Collection DVD – Give the gift of curling up by the fire with two of the best Christmas movies ever made, White Christmas & It’s a Wonderful Life. Catchphrase – BEST GAME EVER. The end. This sky umbrella is so cool; they’ll be waiting for rain to show it off. For the person who’s glued to their Apple, try the The Bikn – now their iphone can help them keep track of their stuff or any of these solar powered cases. Most families would love the gift of membership to a local museum or zoo; especially if they have younger children. It will give them a place to get out of the house as a family without extra expense coming out of their monthly budget. Any couple I know would appreciate a date night. Sometimes just planning ahead, offering a sitter, or giving them something with a deadline helps them to carve out time in their calendar. Want something more tangible, try a nature box subscription. Honestly, sheets and towels are really exciting to this mom (even a gift card to my favorite grocery or house ware store). Find some cute stationery or plan ahead and personalize some for them. You could even get matching envelopes, a wax seal, or this awesome Gerber tactical pen. Cruise around on Etsy – they have a ton of very cool, one of a kind, and unique gifts. Consider the gift card. It is not as impersonal as everyone would have you think.